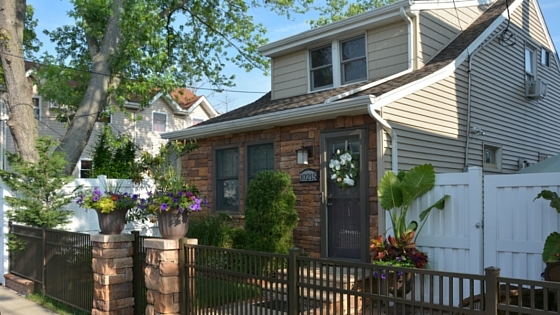 Living on a dead end street in a town off Jamaica Bay has its perks- we have access to the water, it’s quiet and everyone is friendly, but not everyone takes pride in their home leaving some neighbors’ curb appeal and yard issues causing havoc. Do you look out your window and see a less than a perfect view? I do. Here is our home’s front yard. We change out the planters and door wreath for every season. Plus, cut the grass and shrubs regularly to keep the front clean and manicured. Here are some of the properties surrounding our home. As you can see some try and add life by adding flowers, while others…well, don’t. The house that’s in the image below crumbling down is not currently occupied and sits in limbo. So, how can you improve upon a piece of property you actually don’t own? Well, I recently read a post called: How to Get Your Neighbors to Fix Curb Appeal Problems by Sarah from The Ugly Duckling House, which mentions a few things she does “to establish long-term benefits with neighbors, make the neighborhood a nicer place to live in, and help motivate those around me to care for their own homes the way I care for mine.” This got me thinking about my own experiences on the block dealing with unsightly situations. 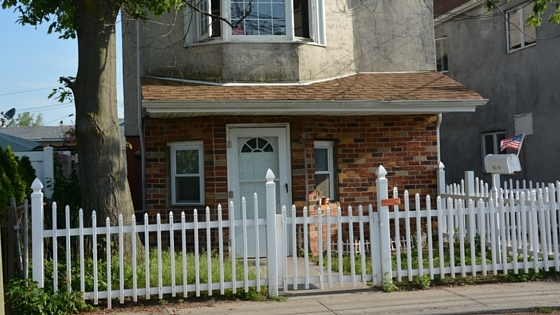 As you may or may not know our block was hard hit back in 2012 when Superstorm Sandy’s storm surge flooded our homes. 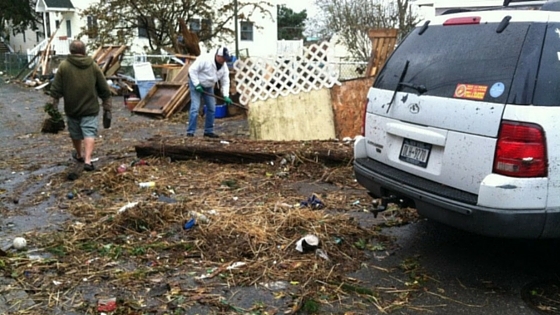 It was a true community effort the days and weeks after the storm to get all our belongings out of our house, off the street to begin the process of cleaning up and rebuilding. We’ve come along way since then. 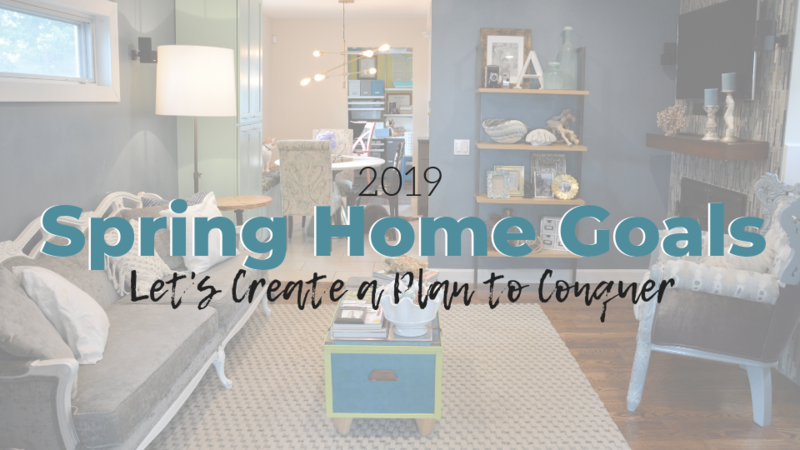 As time passed, projects were completed and money dwindled many homeowners improved the overall look of their homes, however, many are still stuck in the past. Siding is still missing from one home on our block, another home continues to be abandoned and others do the bare minimum, it’s like they don’t care. It’s important to help your neighbors and not just during the bad times. Sarah explained in her post, "there might be an actual reason why your top priority for getting their house repaired isn’t their priority. Illness, age, travel, job status, family status, etc. could all play a role in whether or not your neighbor even notices that there’s something they should be dealing with right now. If you’re already doing your part in trying to get to know them — as, you know, people — you can also offer to help; that might be all that they needed to help them realize that people in their neighborhood are looking out for them." 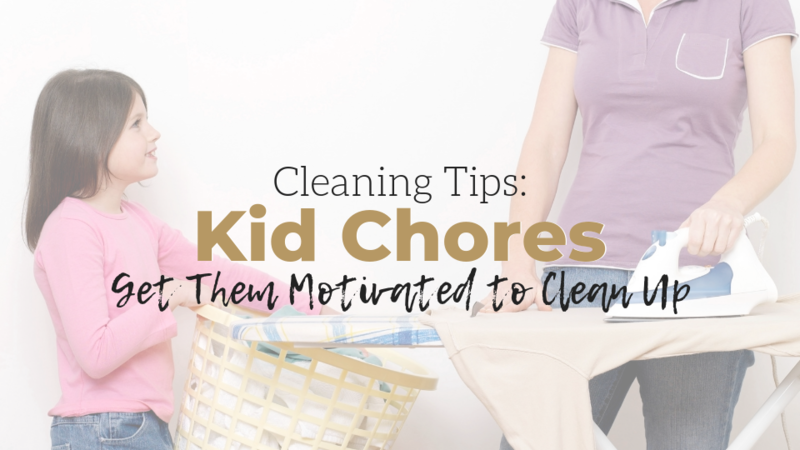 When we’re doing yard work, sometimes we’ll pick up flowers for neighbors, chop down trees, blow out their yards or even give them hand me down yard items we no longer want. 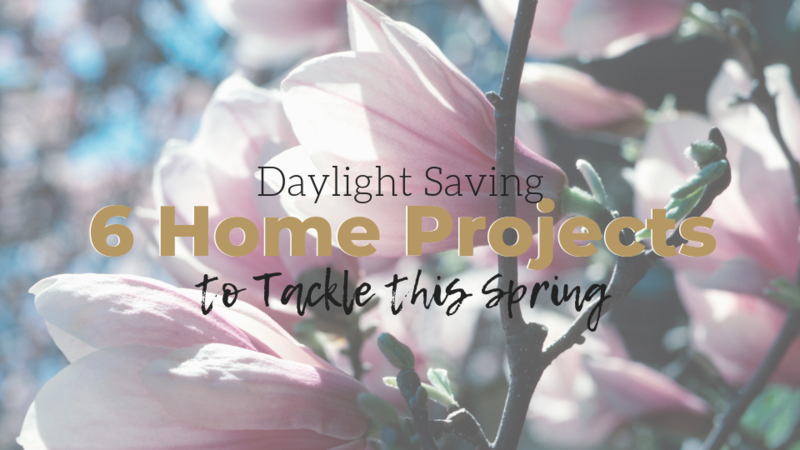 Since we’re constantly changing out our front yard seasonally, we take the lead when it comes to completing exterior projects. I’ve actually noticed over the years that many of our neighbors follow suit. When we clean up our yard (cut the grass, power wash, blow out debris) they will. When we plant flowers or new landscaping they do. When we decorate for the holidays, they’ll put decorations up. Now, I’m not saying they do this just because we do, I’d like to think they had the project on the to-do list, we just give a little motivation. I love the way Sarah put this,"through guilt, pride, jealousy, or some combination of emotions, they will be reminded to care for theirs as well. 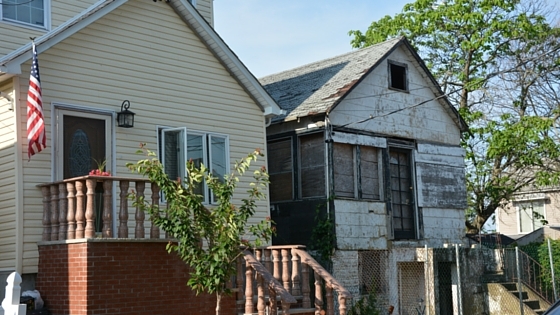 After all, no one really wants to have the crappiest looking home on the block." It's VERY TRUE. Perhaps this is the easiest way to curb ugly views out of sight by controlling what happens in your own yard. 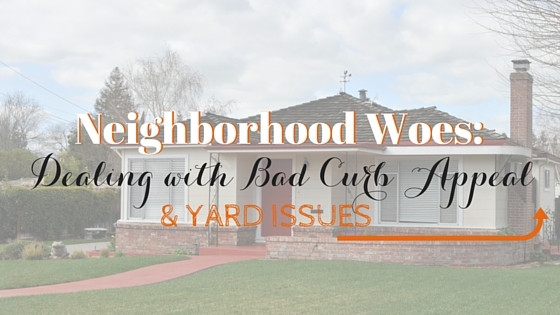 Curb appeal isn’t the only issue you can have with your neighbors. 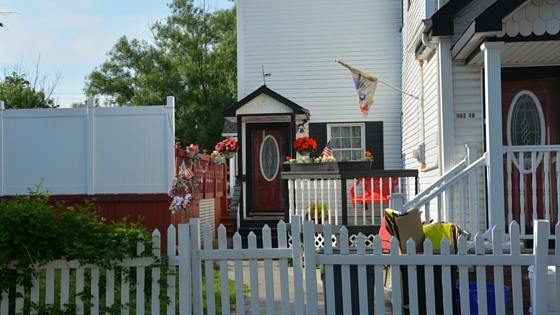 There side yards and backyards can hold piles of trash or be just as unsightly. 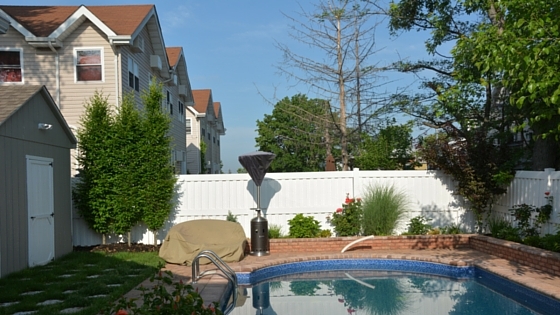 Take this view for example, here is our backyard we added an in-ground pool, pavers and landscaping after the storm. But, there is still a constant reminder the storm happened. Can you tell what it is? Those bare, tall evergreen trees two yards down. 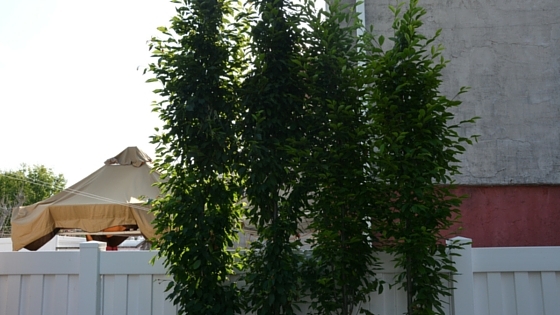 These trees are not only an eyesore, but they’re weak and can fall causing more damage. 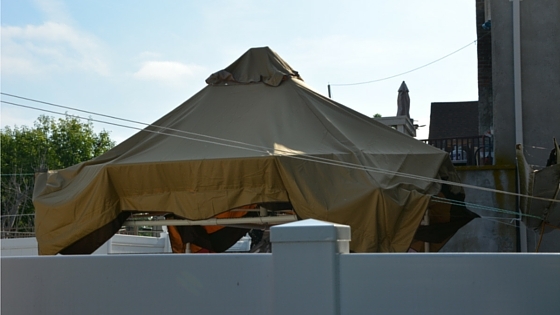 On the other side of the yard we have the honor of this view, currently a makeshift tent, a clothes line, an old gutter and siding, you get the point. wants it to change, so it’s your problem to deal with, and your job to find out if there’s a solution. Now, while we can’t control the view of the dead evergreens, we can take matters into our own hands to hide the “handyman special.” Over the weekend, we added trees and a pergola with a side screen to block the unattractive view and add some privacy to our own backyard. 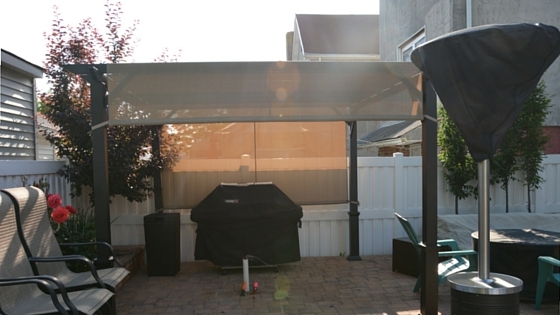 We bought this pergola from Lowes and it will cover our outdoor bar and kitchen area soon enough. I’m excited to see our exterior transform into an oasis, not only that we can escape to, but our neighbors can also enjoy and be inspired by. I’d love to here more about how you deal with your neighbor’s yard, please feel free to leave a comment and share your stories below.